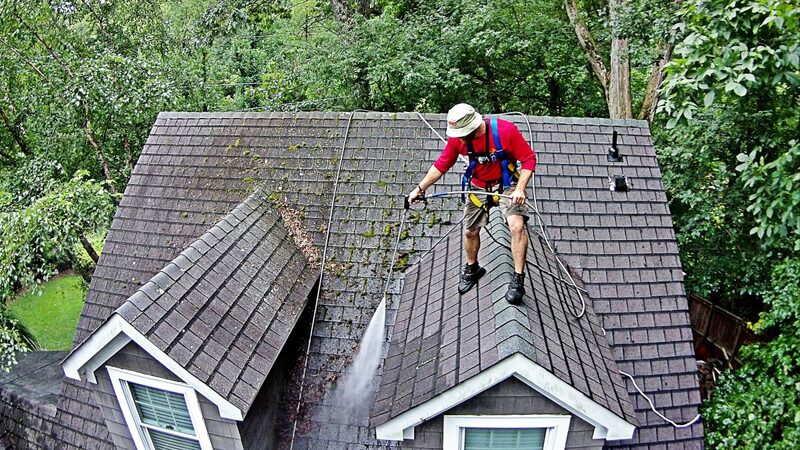 Power washing is the best way to care for the exterior of your building. 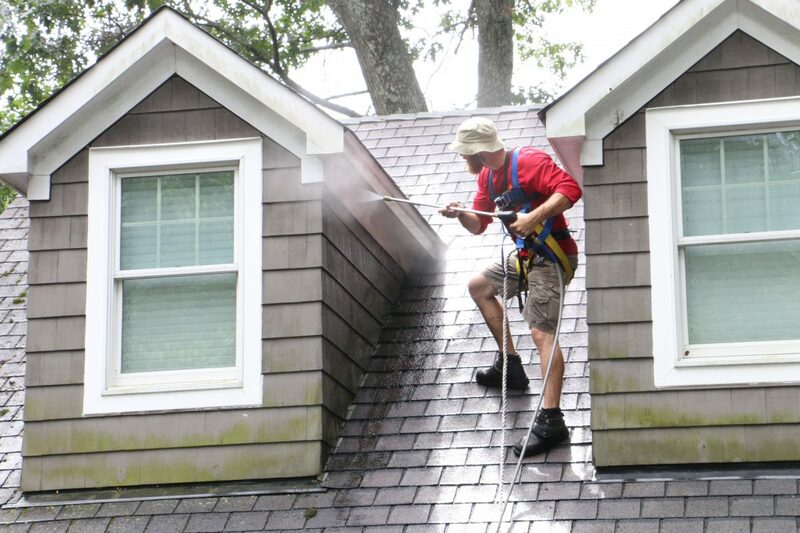 We recommend power washing your building at least once a year for optimal maintenance. Let us do the dirty work for you! 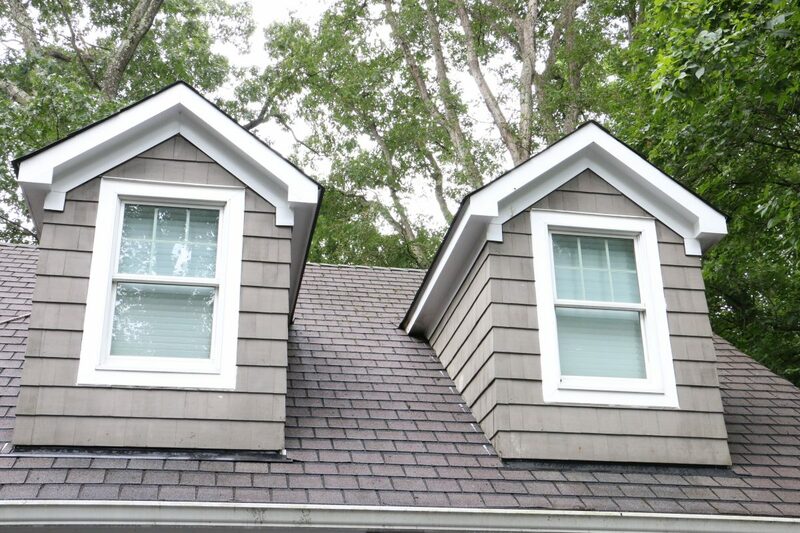 We can power wash almost any exterior surface, including: brick, vinyl/aluminum siding, gutters, most roofs (link to roof washing), decks, railings, furniture, and concrete. We can even clean your driveways and sidewalks! To Power Wash Your Building? 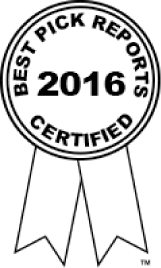 Matt and his crew did an outstanding job power-washing the exterior of our entire home. Matt was professional, courteous, and took the time to go over the job before, during and after the work was completed. 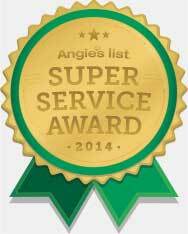 My husband and I knew we would receive excellent service from Gutterman Services, but Matt exceeded our expectations. I highly recommend Matt and his crew. They were awesome; I actually have a contract with them. I like their attention to detail, the people are really professional, the guys, when they come out, explain everything they are going to do and any extra thing that you want to be done, they are right on it and they do a great job at it. Can I sign up to have my building’s exterior power washed on a regular basis? Absolutely! 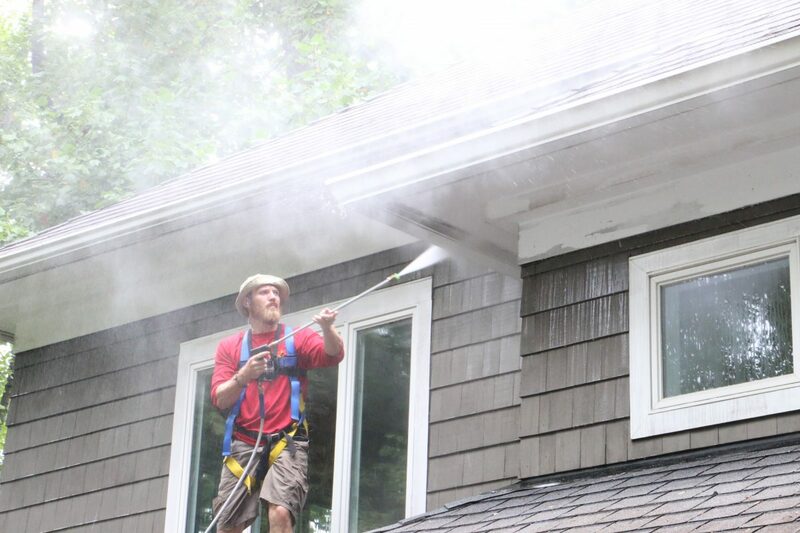 Power washing is something we offer as part of our service agreement – a home maintenance package in which you pre-select maintenance services that we help you schedule seasonally. Signing up offers benefits like discounts and priority scheduling, among others things. What is the best time of year to power wash my building? It’s ideal when the weather is sunny and mild. You don’t want to power wash in the winter since the cold temperatures could cause ice to form; while it’s ok to power wash in autumn, there is a risk of leaves/debris re-accumulating on the house right after the cleaning.